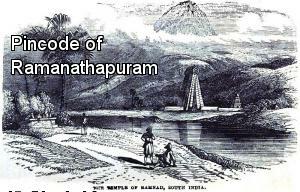 Ramanathapuram (�pronunciation�), also known as Ramnad or முகவை , is a city and a municipality in Ramanathapuram district in the Indian state of Tamil Nadu. It is the administrative headquarters of Ramanathapuram district and the second largest town (by population) in Ramanathapuram district. As of 2011, the town had a population of 61,440.Density of population: 320 people per square kilometer; Literacy Rate: 81.48% - Male: 87.89%, Female: 74.93%; Male Female Ratio: 1000:977.Ramanathapuram is the top producer of chilli pepper in Tamil Nadu. It is connected to other cities by NH 49. This place is most famous for Rama (Ramayanam) and the place is as old as many centuries, there is no one can predict and most of the peoples across the country come to visit Rameswaram. Stating that eight fishermen had set out for fishing in two mechanised boats from Ramanathapuram and Pudukkottai districts, she said they were apprehended by the Sri Lankan Navy in the early hours of on Sunday. Five children, including three girls drowned in tanks at Radhapuram in the district and and Perundhalur in Ramanathapuram district on Sunday, police said.